What Are Your Mortgage Options When Buying a Home? You are here: Home / Real Estate / Buying a Home / What Are Your Mortgage Options When Buying a Home? Is this your first home? Check with your local banks, credit unions, or even governments for these types of programs. Often, you don’t have to put the full, traditional 20% down. There are often different criteria (like credit scores, income limits, etc.) to participate in these programs. This type of mortgage is one of the best options out there for those with less-than-perfect credit, FHA is a great option. You’ll be required to put a down payment of 3.5%. which is typically much easier to do than normal home sales. There are varying eligible locations for using a USDA loan, and despite being called a rural loan, these aren’t always rural areas. You have to have a decent credit score and a steady income, under a certain limit requirement. You also cannot currently own a home. There are many mortgage options, choosing the right one makes a HUGE difference in buying a home. The Department of Veterans Affairs allow veterans and their surviving spouses to purchase a home with no money down and limited closing costs. Also, you’ll reduce your monthly note because there is no mortgage insurance required. 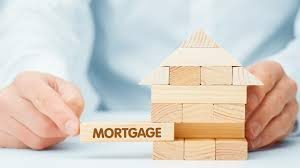 These types of mortgages have the same interest rate for the entire term of payment, meaning that your monthly pay is going to stay the same. This type of mortgage is the opposite of a fixed rate. Your interest rate will change, or adjust, typically each year. This means that your monthly payments might not be the same, and there could be a large change. No matter what type of mortgage you decide on, it is important to do your proper research and thoroughly read your contracts before signing anything. It is a good idea to consider hiring a real estate agent, who will be able to help identity what types of mortgages you will qualify for, as well as guide and help you in the process of purchasing.